Desirable Qualifications ( वांछनीय योग्यता ) : For Centre Head, MBA with above mentioned minimum qualification and experience. In case of deputation at Egypt as Trainer, Candidates with minimum 5 years of IT/ Training experience and above mentioned essential qualification and experience for Trainer will be preferred. Certification on at least one relevant technology platform viz.Microsoft, Cisco, Oracle, Linux and Project Management is desirable. Age Limit ( आयु सीमा ) : 35 years on the date of application. Age Limit ( आयु सीमा ) : 32 years on the date of application. 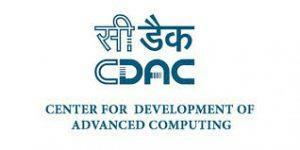 Centre for Development of Advanced Computing (C-DAC) recruits Centre Head, Trainer Posts. Candidates with B.E. / B.Tech. / MCA, M.Tech. / M.E., Ph.D., MBA experienced can apply.